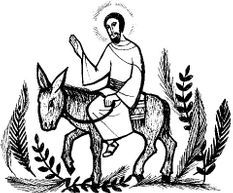 On Palm Sunday the long reading of the Passion dominates the celebration, and in a sense its meaning is obvious. Do not allow this, however, to detract from the other readings, which give the vital context necessary for understanding the Passion as more than just a long story. It is our story – the tale of how God achieved OUR salvation by the supreme sacrifice of Jesus Christ. This is one section of a great block of readings that comes in the third section of the book of Isaiah, and is commonly called the “Song of the Suffering Servant”. It has always been interpreted by the Church as referring to the inner attitude of the Lord Jesus in his Passion, and so is a vital reading today: it lets us into Jesus’ mind, and tells us the story of the person behind the events we hear in the Passions. It is the voice of the Lord in his silent suffering. And what is the word he speaks? “Obedience.” The servant trusts completely in the Lord, who provides even the words he speaks. Whatever comes, he will trust in God, because if one is faithful to God, then one will know no shame. Allow this reading into your heart, so that it can find its way into others’ hearts as you read it. Make it much more than just “a reading before the Passion” – these two readings are the very meaning of the Passion. Also remember it’s a poem, and that must make a difference in the way you read it. There is a tradition of the congregation joining in the Proclamation of the Passion by reading the crowd parts. Obviously this is too long to put on the Mass sheet so here you will find a companion sheet for the whole of Saint Mark's Passion with congregational parts marked. Please feel free to download and use it as you would a Mass sheet. "Blessings on him who comes in the name of the Lord." 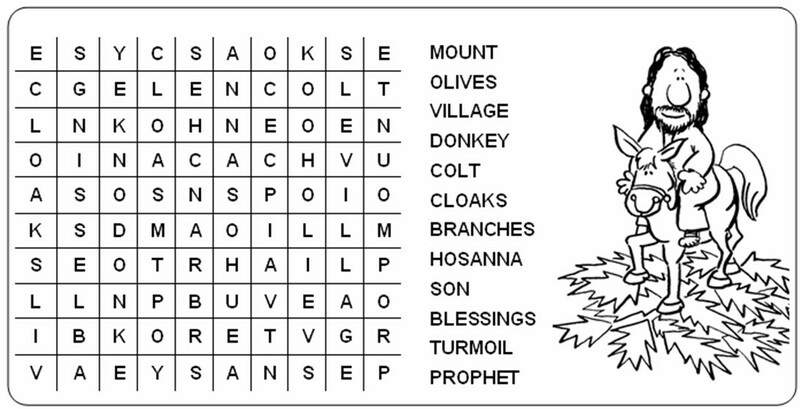 Click on the link to get this week's Wordsearch. Feel free to copy and paste it into your parish publications.